Perfect Kids is the first organic refrigerated kids snack bar! New data reports 86% of parents prefer to shop for kid snacks on the perimeter aisles of the store. With a cookie-dough-like texture and taste, Perfect Kids is an organic, healthy snack for kids and will be sold in boxes of five and offered in two flavor varieties: Peanut Butter Cookie and Chocolate Chip. Each refrigerated snack bar is made with freshly-ground organic peanut butter, organic honey and gluten-free oats, and delivers seven grams of whole food protein and eight superfood veggies, making it a nutritious solution for parents and a delicious choice for kids. 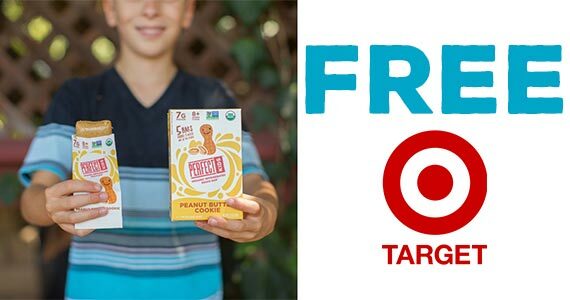 Right now you can print out a coupon that you can bring to your local Target store to grab a free box of Perfect Kids Snack Bars. This offer is only available to US residents in-store.